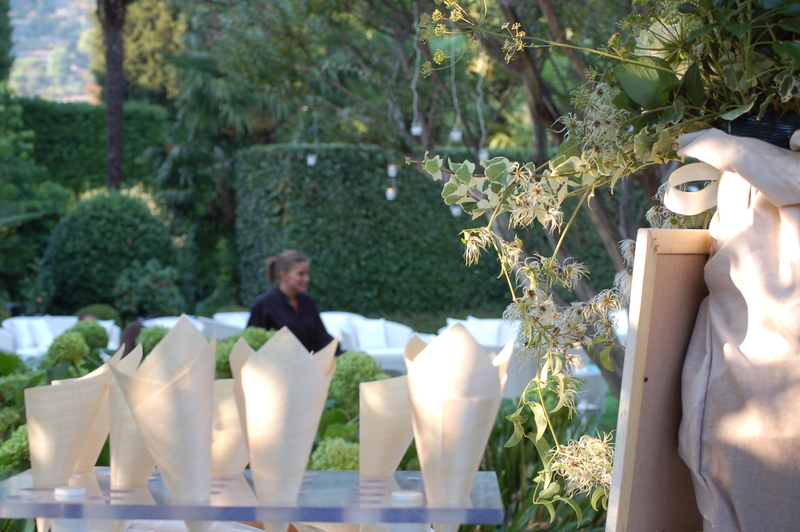 “Visini” offers some of the most charming villas of Lake Como for weddings, private receptions and business events.. 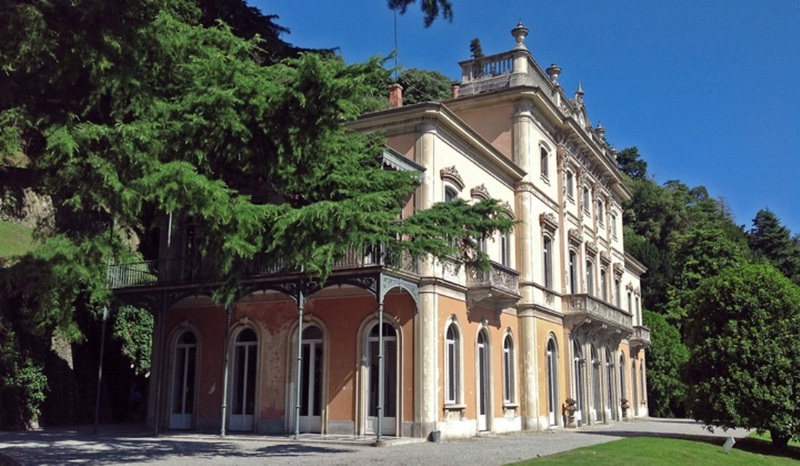 The beautiful “Villa del Grumello”, with its Neoclassical style, amended and expanded over the centuries, , is located within walking distance from the city center of Como. The villa surrounded by trees, overlooks the first basin of the lake, creating charms for the delicate atmosphere, the beautiful view and the harmony of the whole. 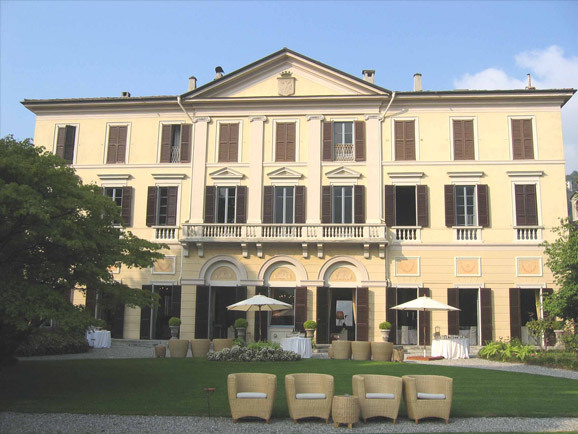 Villa del Grumello, due to its elegance and versatility of spaces, is ideal setting for conferences, business meetings and training courses, both refined receptions and gala dinners. Inside are preserved signs of previous eras, traceable in the Seventeenth-Century fireplace, in some plasters and floors, in the eighteenth-century wide staircase, which introduce on the main floor of the Villa. Most of the rooms of the villa are frescoed and beautifully stuccoed, with romantic themes and rural scenes. Peculiarities of Grumello is the variety of antique floors. You can see high quality wood, alternating with Palladian, marbles and terracotta Lombard. 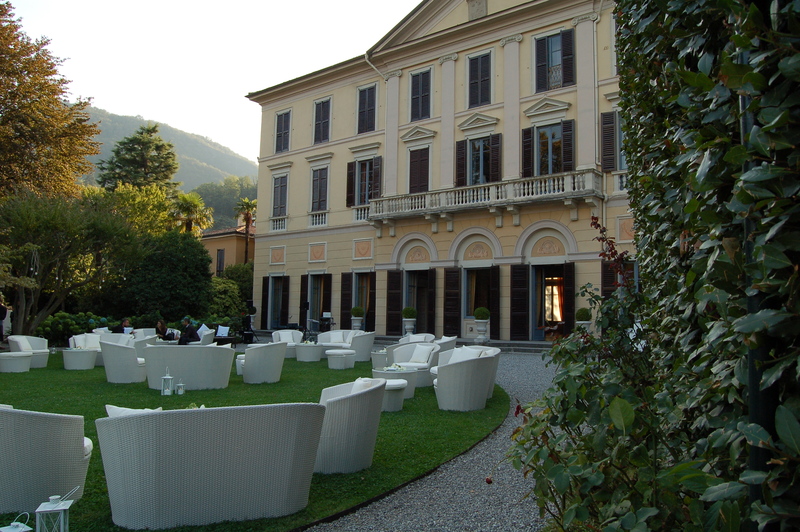 Prestigious palace, Villa Parravicini Revel overlooking the beautiful scenery of the first basin of Lake Como, with its majestic architecture in the Neoclassical style. 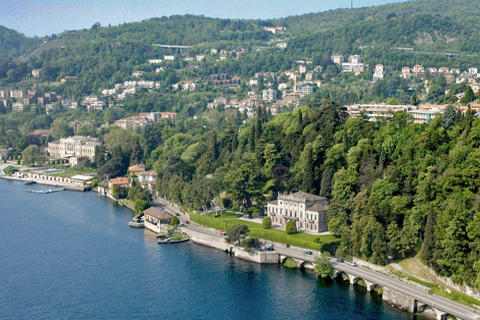 His Italian style garden, with its bright green oasis, circumscribed by hedges of the forest, skirts the most important buildings of the eighteenth century built by the wealthy Milanese nobility on the shores of the lake. 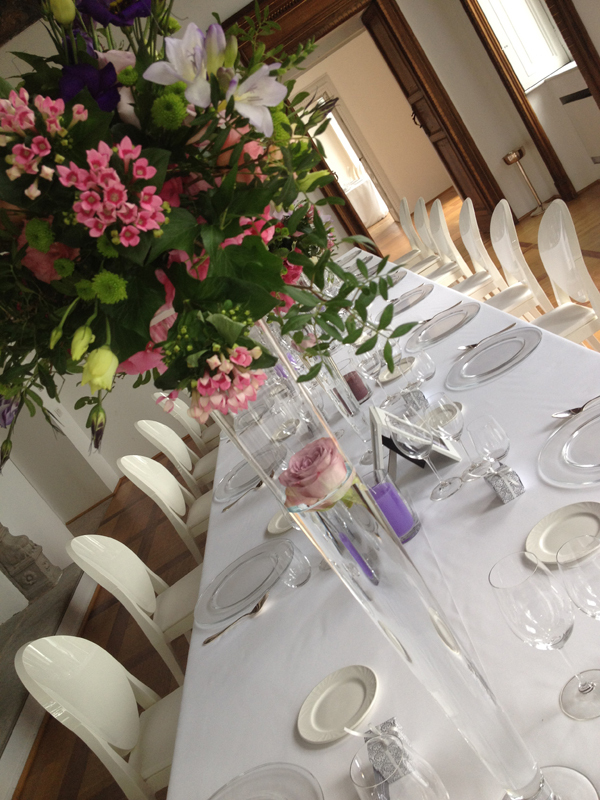 The interior is composed of four large halls decorated with exquisite frescoes, mosaic floors and original furnishings that make intimate and welcoming atmosphere appropriate for wedding receptions, meetings and special dinners.